The third installment of my 24 Ways book series is waiting for you on Amazon! Here’s the answer: meditate through your day. Not around it. Not instead of it. Through it. Incorporate this practice into everything you do. Infuse it into daily activities so that it becomes part of your life – day and night. How? 24 Ways to Meditate Through Your Day answers this question. Learn two dozen practical ways to integrate God’s Word into your daily habits. By putting these into practice, you’ll be brought back to the truths of God’s Word – every hour of every day. On these pages, you’ll find tips to train your brain to meditate on God’s Word day and night – to love Him with all your mind. Read more about the series. Are you a follower of the Nenn Pen blog? If so, I have a special FREE BOOK offer for you! Here’s how it works. 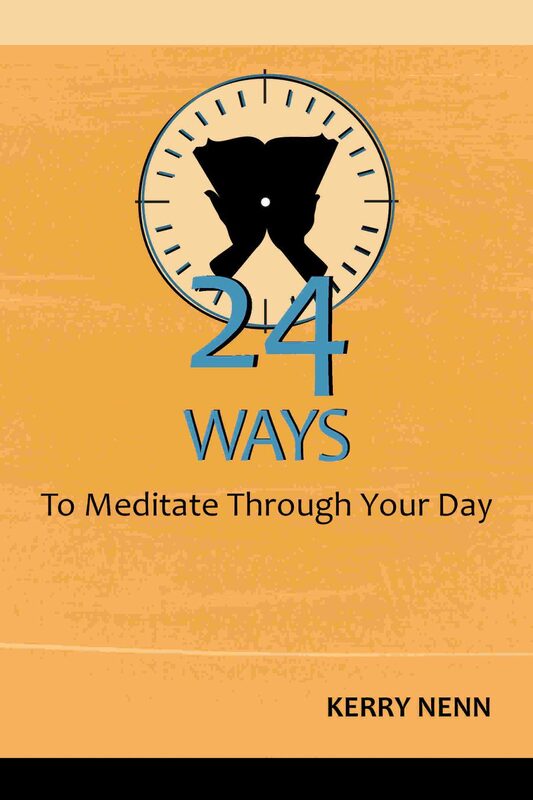 Get your copy of 24 Ways To Meditate Through Your Day – paperback or e-book. Send me confirmation of your purchase. 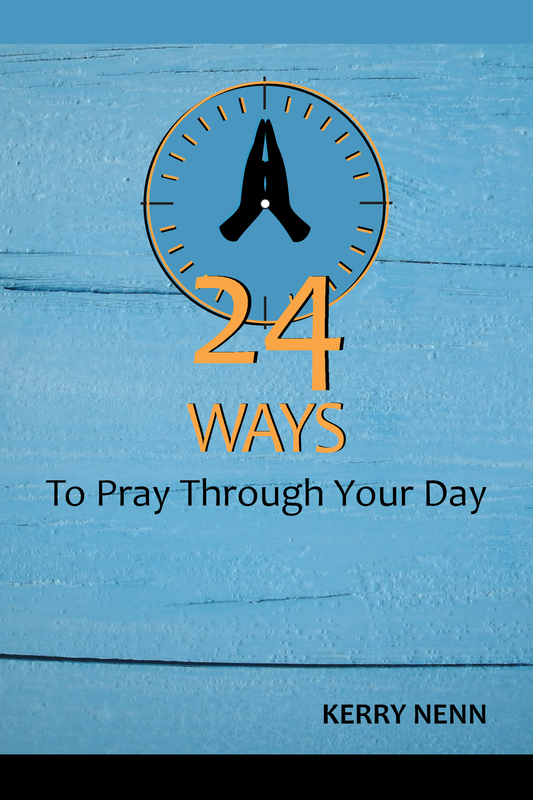 Receive a free electronic copy of either 24 Ways To Serve Through Your Day or 24 Ways To Pray Through Your Day (your choice – just let me know when you send your confirmation which one you prefer). If you’re not currently following my blog, sign up to follow it. Then complete steps 1 and 2 to get your free book! I pray this series blesses you beyond measure! The latest e-book from Nenn Pen, Ink is now available in paperback! Get your copy of 24 Ways To Pray Through Your Day now for just $6.99. Available on Amazon. Is your day slipping by without prayer? Do you keep waiting for the perfect time or some peace and quiet? In the midst of the busyness, the stress, the to-do’s and the to-don’ts, those moments never seem to come. They don’t have to. God gives us moments throughout our daily chaos to call out to him. We simply need to recognize them. When we do, prayer is no longer something we try to work into our day. It becomes our day. Gain insight into these daily prayer opportunities with 24 Ways To Pray Through Your Day and learn two dozen ways to transform each moment of the day into time with God. “Your spirit will be refreshed and your heart stirred. This is most definitely a must-read book that I know will give you a new perspective on prayer. And you will never pray the same.” ~ Vernita Simmons, Assistant Publisher, Faith Filled Family Magazine. The write scribe for you. "Any project I throw at her, Kerry skillfully catches and quickly tosses back professionally polished. From website content, to marketing materials, to product promotions, she has consistently provided excellent quality work, with quick turn-around. We have been happy to use her skills to promote and grow our business." "I can’t begin to thank you enough for making me look so good on paper."